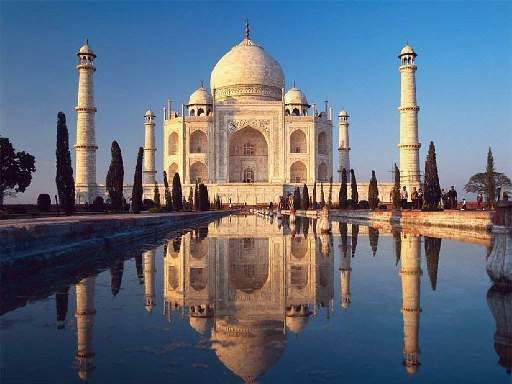 From New Delhi, the capital of India, to two former capitals of the Moghul Empires, Agra with the glorious Taj Mahal, and Fatehpur Sikri, the deserted city of Emperor Akbar and onto Rajasthan, the land of the Rajputs, palaces, desert forts and wildlife sanctuaries. 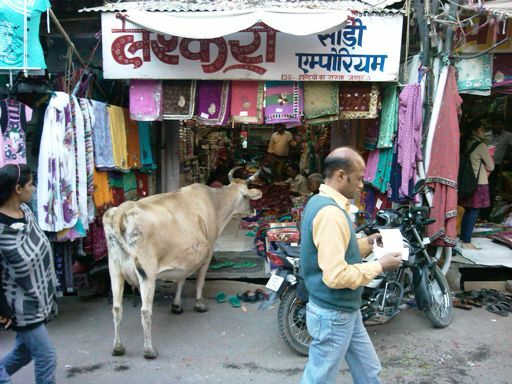 This is the essence of colourful and romantic India. Take the early morning Shatabdi Express train, travelling Executive Chair Class (A/C 1st Class carriage) from Delhi (ETD approx. 6am) to Agra (approx. 2 hours later). Breakfast is included. 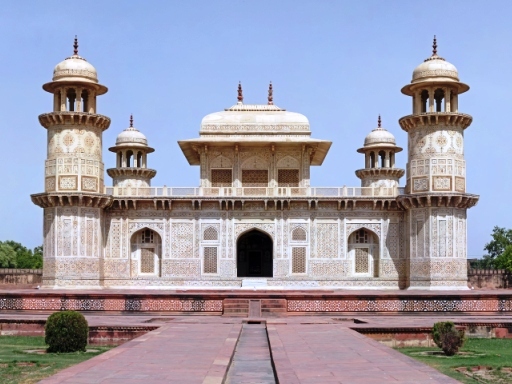 On arrival at Agra, you will be met by your car and driver and transferred to your chosen hotel, then spend the full day sightseeing the massive Agra Fort, with fine palace apartments, the small white marble mausoleum of Itmad-ud-Daula and of course, the awe-inspiring Taj Mahal. 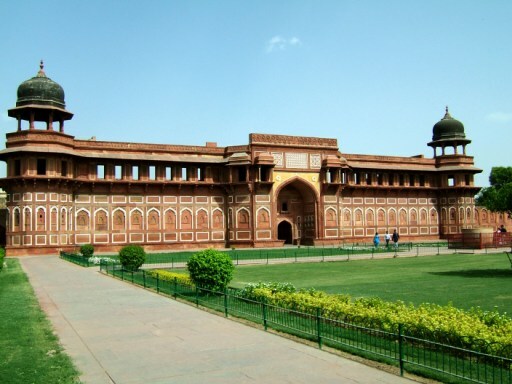 Overnight Hotel : We recommend the Trident Agra. Or – the The Gateway Hotel Agra (formerly known as Hotel Taj View). 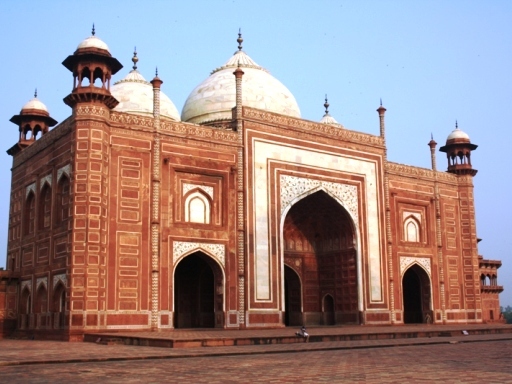 Or – the ultra luxurious Oberoi’s Amar Vilas, with a view of the Taj Mahal from every room. Your chauffeur driven car will be available till the end of your Journey. Driven to Bharatpur via Fatehpur Sikri the perfectly preserved city palace complex built 1570-1586 and abandoned 14 years later. 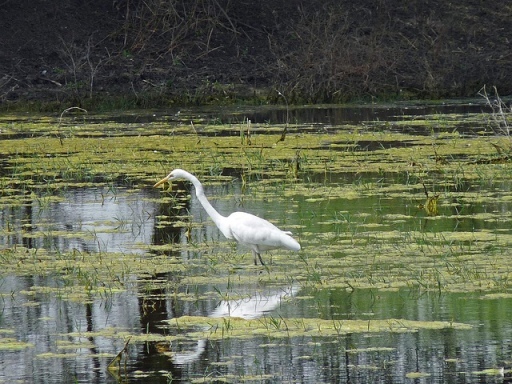 Bharatpur is the foremost water-bird sanctuary and heronry in the world. 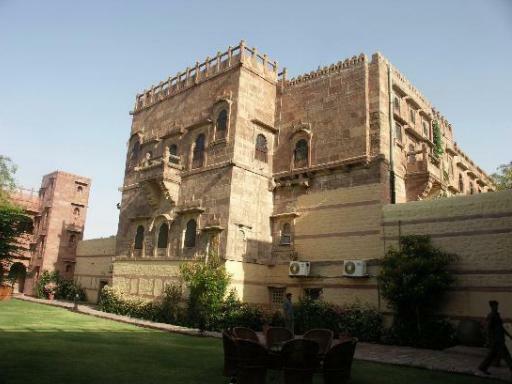 Stay at Laxmi Vilas Palace a Palace built in 1887 and converted into a Heritage Hotel. In the morning, visit Bharatpur Bird Sanctuary. 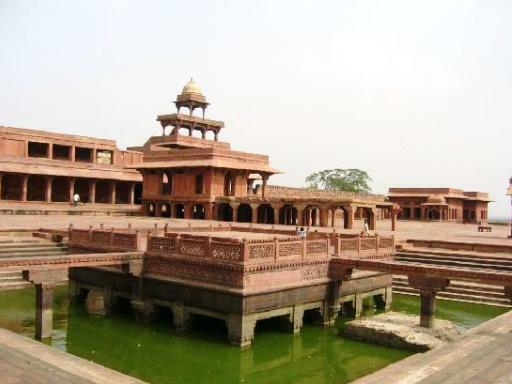 In the afternoon, Optional visit to the Walled Summer Palace and Moghul Garden of Deeg. Stay a second night at your chosen hotel. 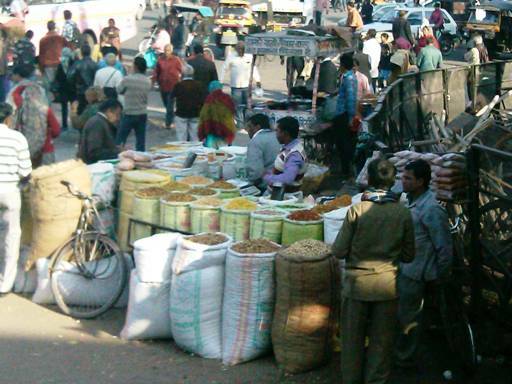 Driven to Jaipur the well planned “Pink” city built in 1727 as the Moghul Empire began to wane. 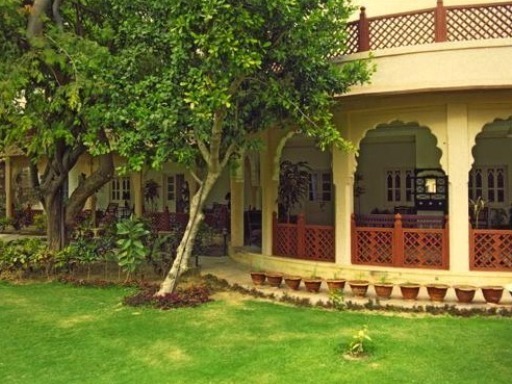 Stay at Samode Haveli, a lovely frescoed nobleman’s house in the centre of the bazaars. 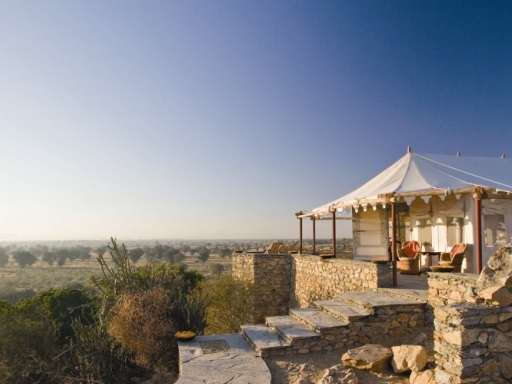 Or stay at Dera Mandawa , recently opened 7 suites family home. You can also stay at ultra luxurious The Oberoi Rajvilas. or the Taj Group’s The Rambagh Palace, Jaipur. 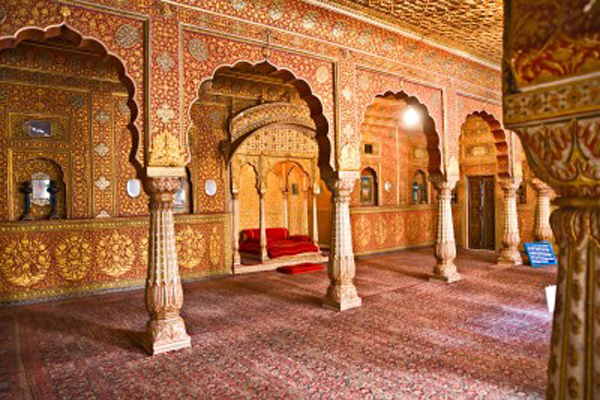 Jaipur ~ Full day sightseeing of the City Palace with its extensive collection of art, miniature paintings, carpets and arms, the Jantar Mantar Astronomical Observatory with the World’s largest Sundial, and to Amber Fort to visit a classic romantic palace/fort complex, temples, gardens and grand state apartments. 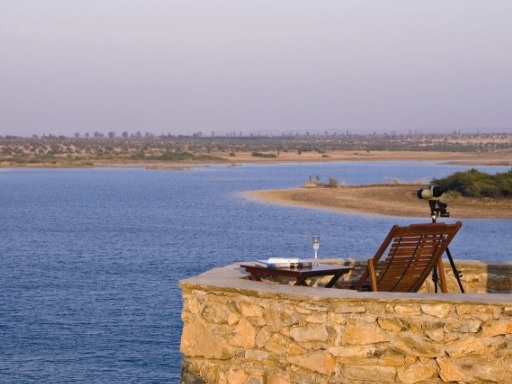 Driven 3 hours to Nimaj to stay at Chhatra Sagar, a luxury Tented Camp well run by two brothers and their wives. 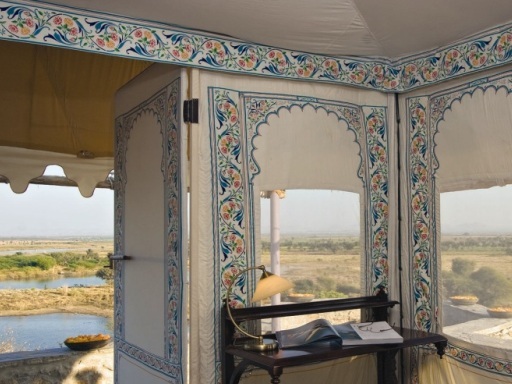 This camp is set beside a 100 year old water reservoir with masses of birds and surrounded by lush green fields of wheat, mustard, cotton and chillies and vast grazing pastures. Day 7 Relax at Chhatra Sagar. Driven 4 hours to Jodhpur. 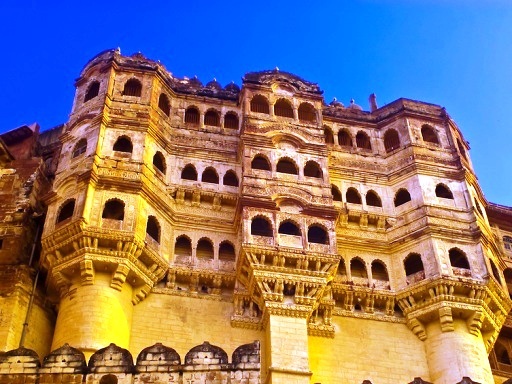 Stay at RAAS a boutique hotel overlooking the magnificent Meherangarh Fort, with impeccable hospitality. Or, stay at Ajit Bhawan, India’s first heritage palace resort and home to the members of the Jodpur Royal Family. 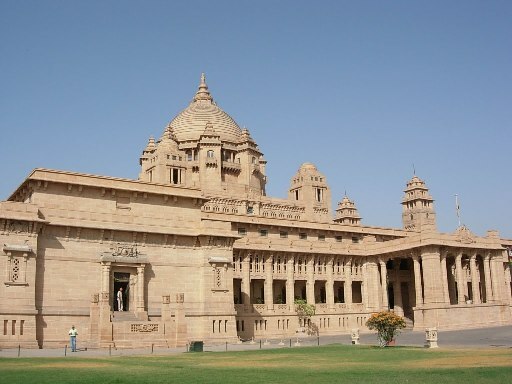 Driven into Jodhpur to see the magnificent 15th century Meherangarh Fort (with good Audio Guide) and the Umaid Bhawan Palace (museum and hotel) which depicts the extravagant life style of the Maharajas. 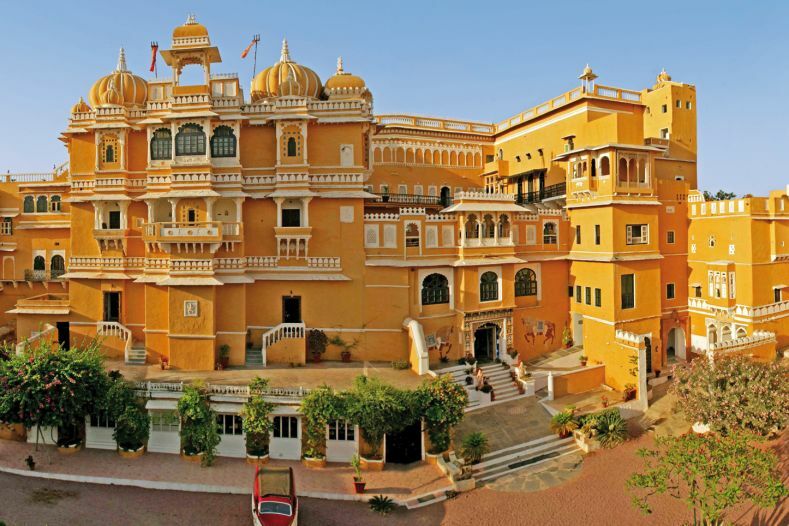 Driven to Deogarh to stay at the beautifully restored Deogarh Mahal, a hilltop palace, lovingly decorated with Rajasthani prints and artifacts. Deogarh is renowned for its miniature paintings. 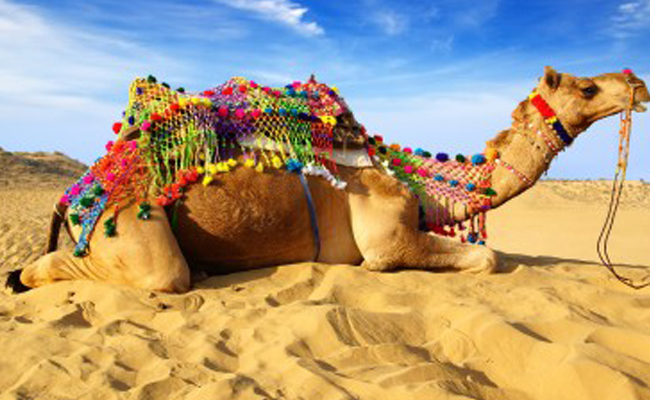 Driven to Udaipur, the most romantic and colourful of all Rajasthani towns with its gardens, lakes and palaces. Stay at Fateh Prakash Palace located on the eastern shores of the picturesque Lake Pichola with a view of the romantic Lake Palace Hotel. 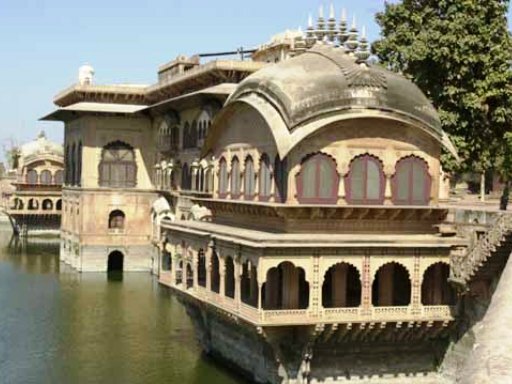 Or, stay at the medium priced Jagat Niwas Palace in a Lake Facing Suite overlooking the romantic Lake Palace Hotel. Alternatively, stay at Oberoi’s Udaivilas Palace, an ultra luxurious hotel overlooking the romantic Lake Palace Hotel. 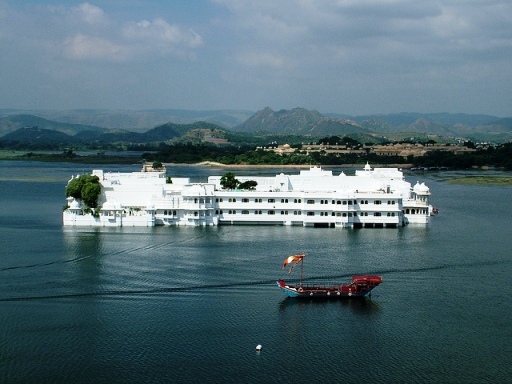 Or indeed, stay at the ultra luxurious and romantic Lake Palace Hotel. 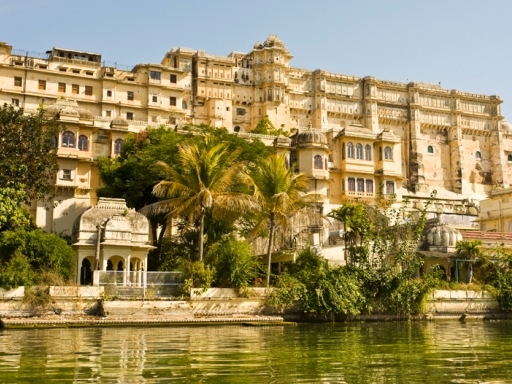 Udaipur ~ Visit the lakes, City Palace, and the garden of the Maids of Honour. Flight from Udaipur to Delhi. – END OF CHOOMTI TOUR.